In the loft: a rustic farmhouse table defines the bar for cocktail service. Greet your guests with a glass of prosecco before they step out to the terrace. 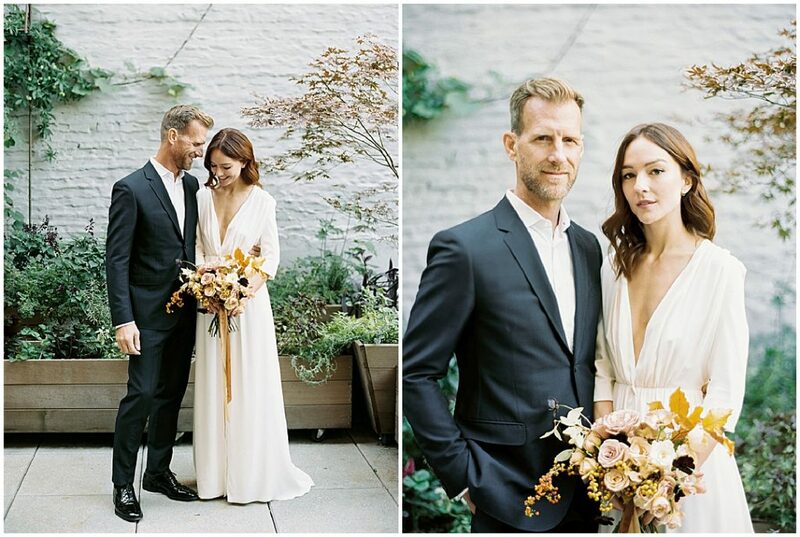 Lush foliage lines the walls of the outdoor terrace, providing a beautiful backdrop for a ceremony and photos. Highlights of the garden include a brilliant Japanese maple and a passion flower vine. Hosting cocktail hour on the terrace creates the perfect definition of space and an opportunity to mingle and enjoy the sunset outdoors before inviting guests to sit for dinner in the loft. 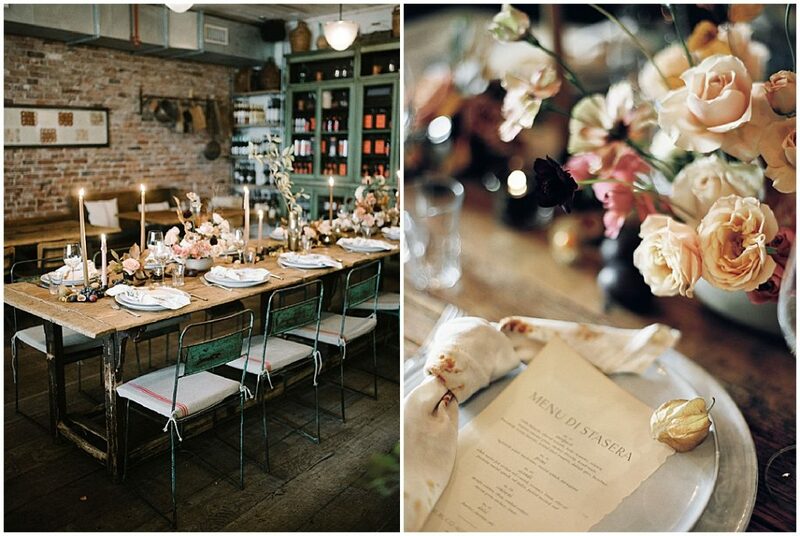 Long tables create a dramatic setting for an intimate family style dinner. Customizable menus include seasonal selections for antipasti, primi, secondi, contorni, and dolci courses. 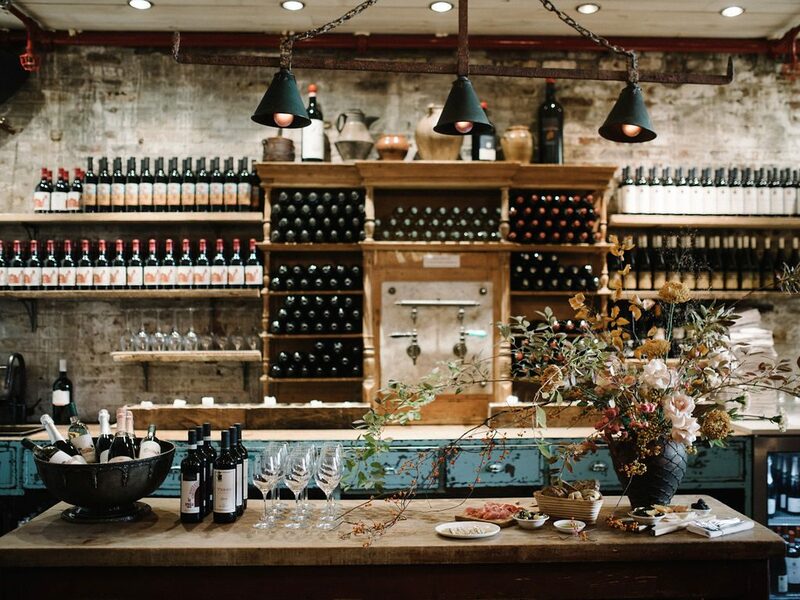 il Buco Alimentari is a perfect venue for our preferred “dinner party” approach to weddings. 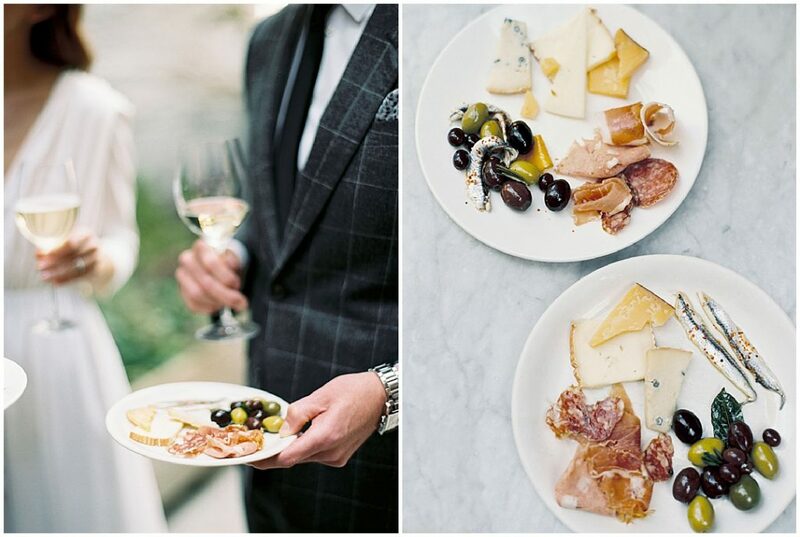 If you’re interested in discussing your vision for a wedding there or at another NYC restaurant wedding venue contact us!